Niko was an amazing host. He met us on arrival to show us the apartment. He was there whenever we needed anything. The apartment itself has a stunning view and is a stones throw from the water. The sunsets from the private balcony were also wonderful! Bella posizione, con terrazzo praticamente sul mare. Appartamento ampio e ben pulito. cucina ben accessoriata. Camera da letto separata dal soggiorno. Gestori molto gentili e cordiali. Praticamente in centro al paese e sulla spiaggia con market e taverne vicine. Super Lage zum Strand und tolle Aussicht aufs Meer. Die Wohnung war allgemein sehr gut ausgestattet, von Küchenutensilien, über Wäscheständer und zwei Klimaanlagen. Alle drei Tage wurde sauber gemacht und frische Handtücher bereit gelegt. Das Personal zur zugehörigen Taverne war auch immer sehr zuvorkommend. 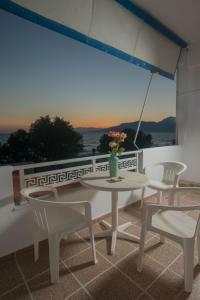 Centraal gelegen ruim balkon met uitzicht op strand. Frühstück haben wir selbst gemacht. Das Mobiliar war sehr in Ordnung. eine wärmere Decke haben wir vermisst. Es gab viele Mücken, die Gazefenster waren wohl nicht dicht. Ein Radio/CD Spieler haben wir vermisst. Es wurde alle 2-3 Tage sauber gemacht und die Handtücher gewechselt. Wir haben uns in diesem Quartier sehr wohl gefühlt. Ci è piaciuto tutto. Il primo giorno siamo arrivati un po' in ritardo, ma nonostante tutto il proprietario è subito arrivato ad accoglierci. L'appartamento è spazioso e davvero curato. La pulizia impeccabile. La spiaggia si trova proprio sotto di voi e la vista del sole che tramonta sul mare è impagabile. Devant la plage, une vue sur la mer depuis le logement et un balcon idéal. La rue est animée mais calme. La région offre des sites magnifiques mais le vent s'invite régulièrement. Le propriétaire est fort sympathique et discret. Lock in a great price for Sunset Apartments in Kalamaki – rated 8.6 by recent guests! 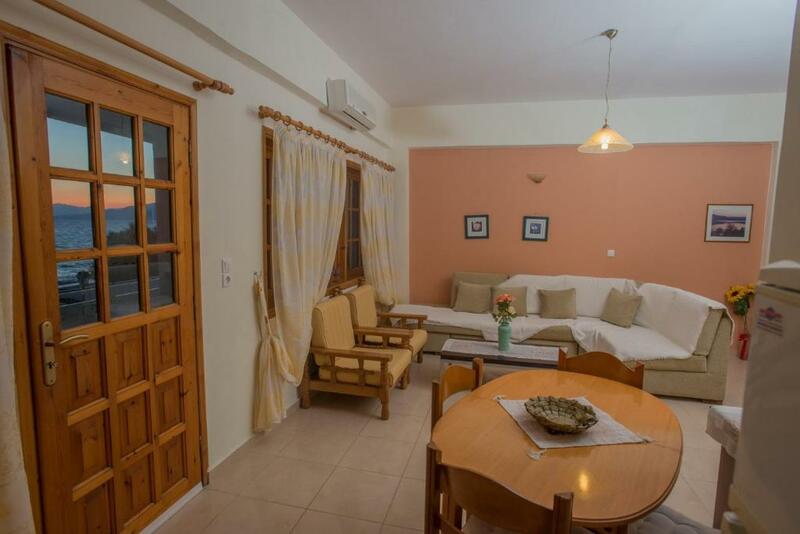 Sunset Apartments in Kalamaki is located in Kalamaki and offers a private beach area. 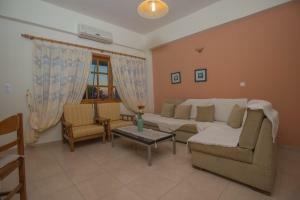 Guests staying at this apartment can use the terrace. The air-conditioned apartment consists of 2 separate bedrooms, 1 bathroom and a living room. 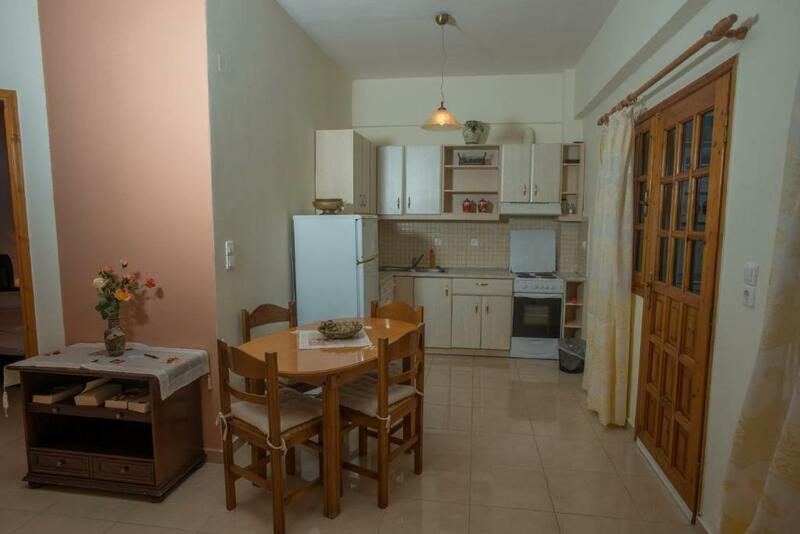 The kitchen has an oven, a toaster and a fridge, as well as a coffee machine. 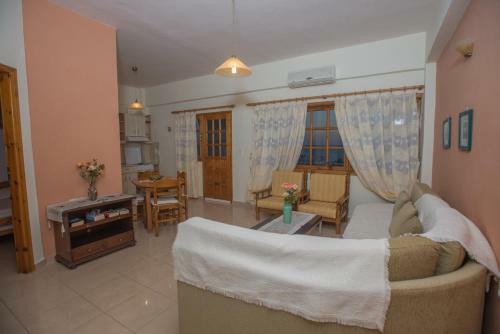 A bicycle rental service is available at this property, while snorkeling and cycling can be enjoyed nearby. Agia Galini is 16 miles from the apartment, while Matala is 7 miles away. The nearest airport is Nikos Kazantzakis Airport, 43 miles from Sunset Apartments in Kalamaki. 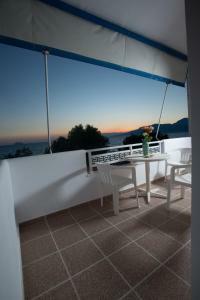 When would you like to stay at Sunset Apartments in Kalamaki? 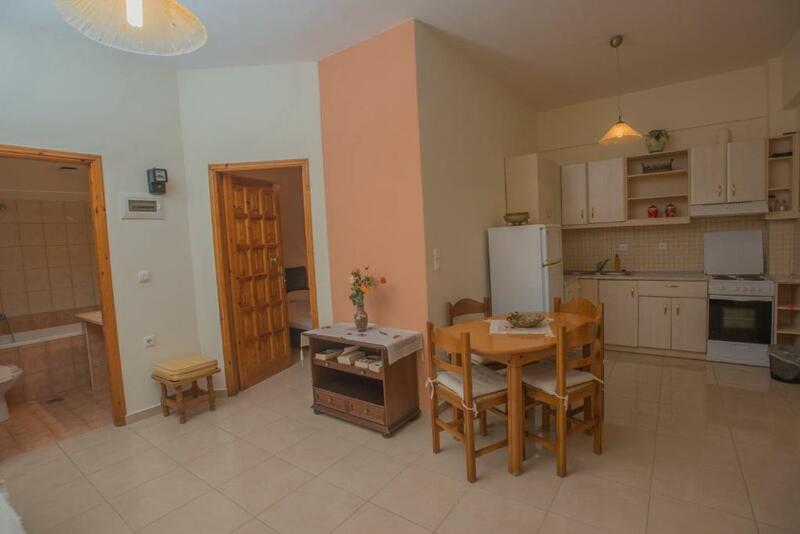 This apartment has a dining area, kitchenware and tea/coffee maker. House Rules Sunset Apartments in Kalamaki takes special requests – add in the next step! 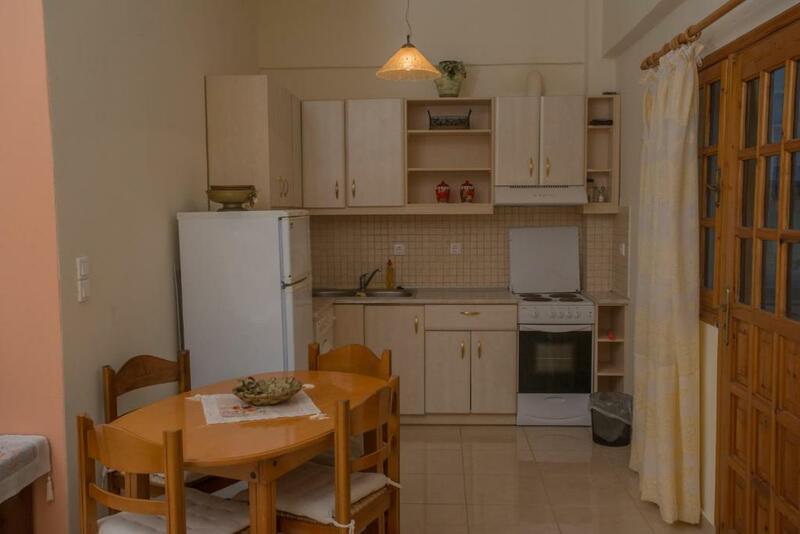 Please inform Sunset Apartments in Kalamaki of your expected arrival time in advance. You can use the Special Requests box when booking, or contact the property directly using the contact details in your confirmation. The mosquitos and the lack of mosquito nets. If you book this place, be sure to take your own! There is a spray and a plug- in mosquito repellent, but we didnt use it because it could be dangerous for our baby. We were unlucky that the last 2 nights our neighbour upstairs decided to redecorate his house, so it was quite noisy the whole day and ended at 22h. Not nice with a baby that needs to sleep! !